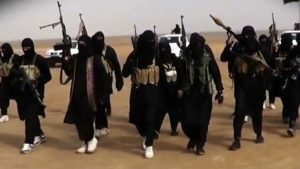 Moroccan intelligence services have received information from their American counterparts of a movement of some Islamic State group (IS) militants disguised as merchants fleeing Libya in direction to the North African country, reports say. The report stems from the Arabic daily Al Massae. The daily notes that the tipoff caused security level enhancement at the country’s borders with neighbouring countries. IS militants fleeing shelling from the US air power in Sirte, are heading towards Algeria, Tunisia and the Mauritania. The militants according to American intelligence services are trying to sneak into Morocco via Mauritania’s border through the Sahara desert. The militants, the daily notes, disguise as merchants or businessmen to cross with the help of arm and merchandise smugglers. The US since August 1, on the request of the Libya’s Government of National Accord (GNA) has been pounding IS militants’ positions in Sirte as part of GNA’s retake of Muammar Gaddafi’s hometown. IS seized the town last year and turned it into its North Africa base, outside its Iraq and Syria strongholds. Around 1,500 Moroccans are reported fighting in IS ranks. There were fears that country’s terrorists fighting in Iraq and Sirte may plan to return home as the terrorist group is gripped by international forces advances. IS has been present in Algeria and Tunisia. The group claimed late last month the killing of an Algerian soldier gunned down in a restaurant in the eastern district of Constantine. The group also masterminded three terror attacks last year in Tunisia. 71 people, mostly foreign tourists were killed. Written by: Peter Mulvany on November 16, 2016. Posted by Peter Mulvany on Nov 16 2016. Filed under Headlines, World News. You can follow any responses to this entry through the RSS 2.0. Both comments and pings are currently closed.